Best of the week: all the news and reviews 14.09.13 | What Hi-Fi? 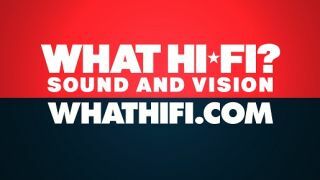 This week on whathifi.com we reported on the launch of the latest iPhones, Microsoft's attempts to broaden the audience of its Xbox brand and possible evidence of 4K ready Blu-ray discs. Reviews tumbled out of our review rooms and quite a few of them managed to attain the hallowed five-star veridct, with efforts from Marantz, Arcam and Geneva reviewed and graded. Comfortably the biggest news of the week, Apple drew back the veil surrounding its new iPhone and, as expected, revealed not one, but two brand new iPhone models. Branded the iPhone 5S and the iPhone 5C, the former is the high-specc'd, improved version of last year's iPhone 5. The 5C, initially thought to be a budget conscious version of the popular smartphone, is seen as a replacement for the existing iPhone 5. The 5S offers improvements over the 5 with an A7 64-bit processor, the choice of two new colours (gold and "space gray"), improved camera flash and the inclusion of fingerprint scanner for unlocking. The 5C comes in at a marginally cheaper price than the original 5, and is available in a multitude of colours (green, pink, white, yellow and blue) and features a uniform, plastic covering on the back. Other than that most of its features carry over from last year's effort. First impressions of both phones seemed to be good - you can read them below - and with a UK release date fast approaching, look for our full reviews very soon. 4K Blu-ray discs in production? Despite reports suggesting otherwise, it looks like there are plans to release a consumer grade high capacity Blu-ray disc. Leaked in a press release on the Singulus Technologies website, the release seems to confirm the existence of Blu-ray discs that will be capable of containing a fully-fledged 4K film. With three layers holding up to 33GB of data and Ultra HD TVs making their way to the market, we could expect Blu-ray releases to make the jump up from 1080p to 4K. While it hasn't been confirmed yet, an announcement on the matter from the Blu-ray Disc Association is expected soon. We thought this would have happened sooner but Microsoft have chosen now as the moment to release its Xbox Music app to iOS and Android devices. Launched almost a year ago with the fanfare of its new Windows 8 OS, Xbox Music allows users basic access to its library of 30 million music tracks. An Xbox Music Pass ($10/£6 a month) lifts the restrictions on content, with users able to construct their own radio stations, save playlists and restart/replay music on a variety of devices. More updates will be forthcoming as Microsoft looks to emulate Spotify's success in the streaming market and head off strong competition from Google's Play Music All Access service and Apple's iTunes radio. It's been an impresive year or so for DACs, AudioQuest's Dragonfly and the HRT microStreamer have received praise and even won awards. It's safe to say that competition in the DAC market is tough. Despite the irDAC's small package it's not reflective of the performance it can achieve. From the moment we powered it up, till the we had to turn it off, it rarely put a foot wrong. But could it better its rivals? The Marantz CD6003 was an Award winner. Much like a father passing down the tools of his trade to his son, the CD6004 triumphed at last year's Awards. Expectations with the latest CD player were, understandably, high. In our time with it we found a device that delivered a high level of consistency and improved on what came before. Wth the winning streak the Marantz has at our Awards, who's to say the CD6005 won't be able to top it? We've had a lot of wireless speakers arrive in our test rooms recently. We've even managed to cram in a supertest filled to the brim with speakers in our last issue. The Geneva Model S Wireless DAB+ took us by surprise. Hi-fi grade audio from a wireless speaker isn't a requisite, or even an expectation. Follow the link to see how impressed we were with Geneva's take on wireless speakers.